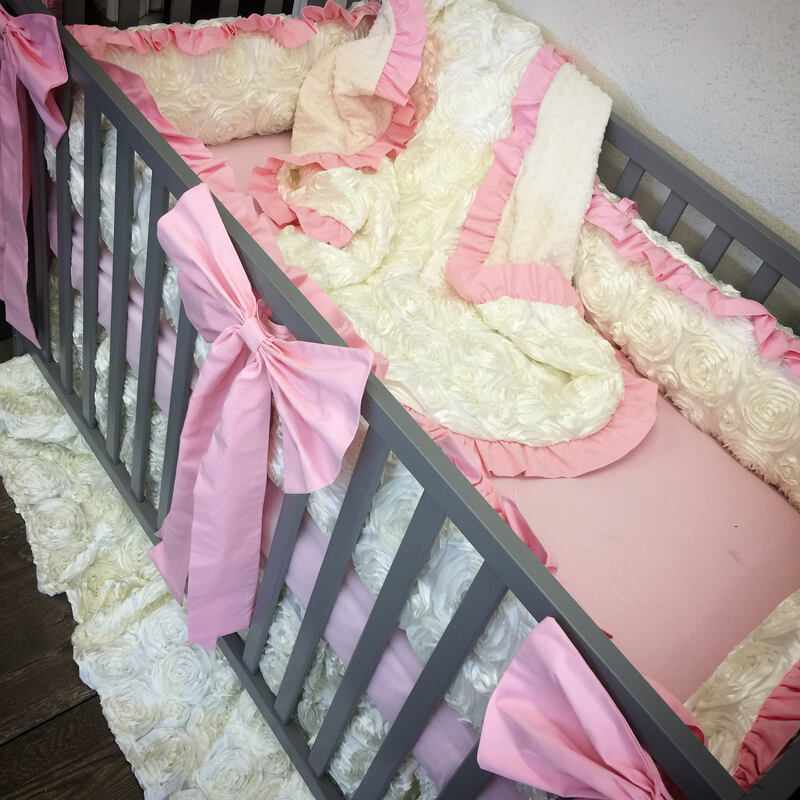 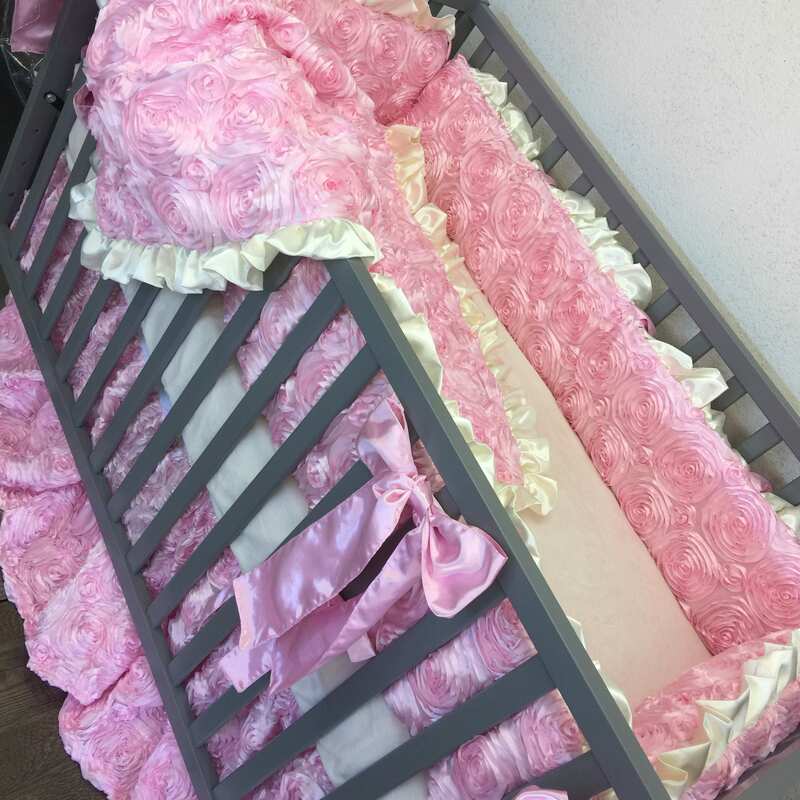 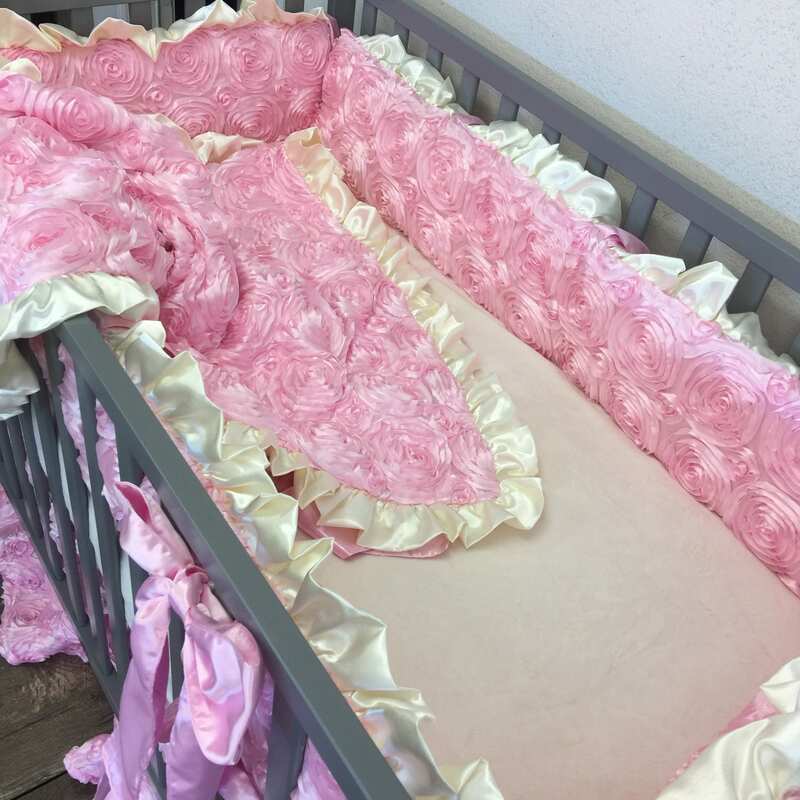 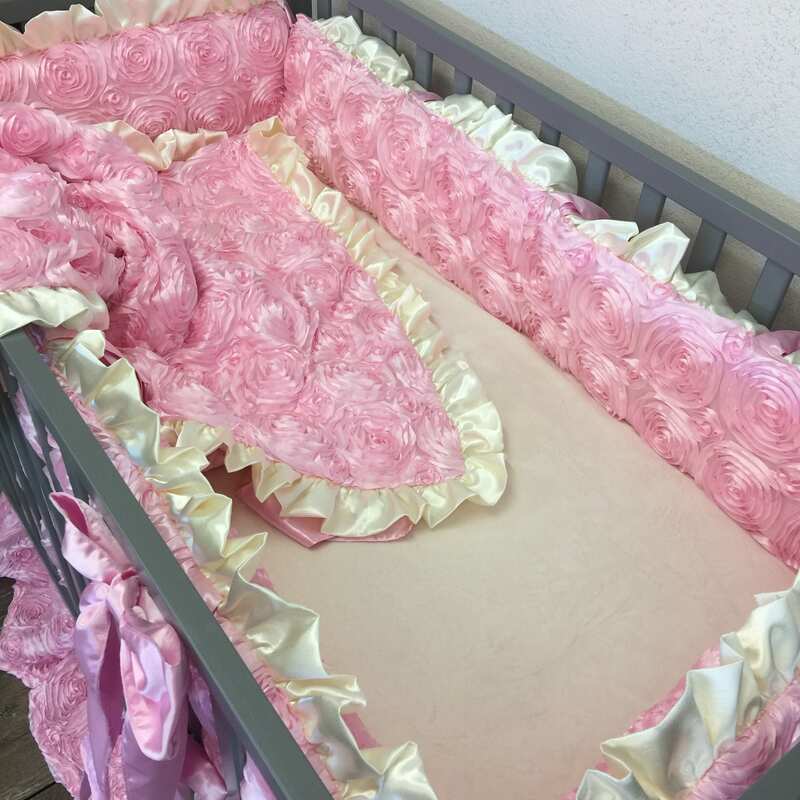 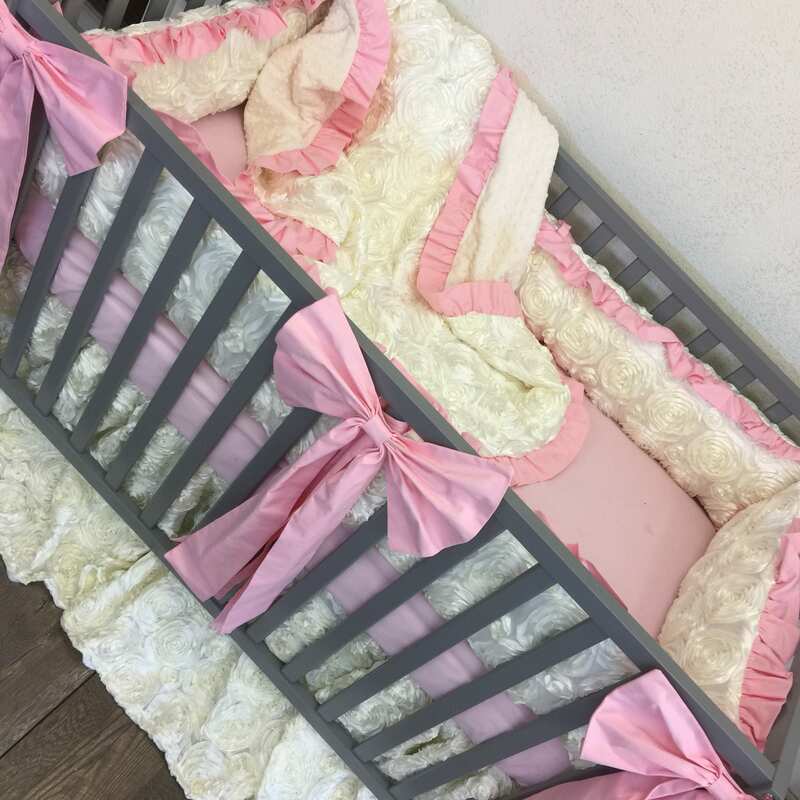 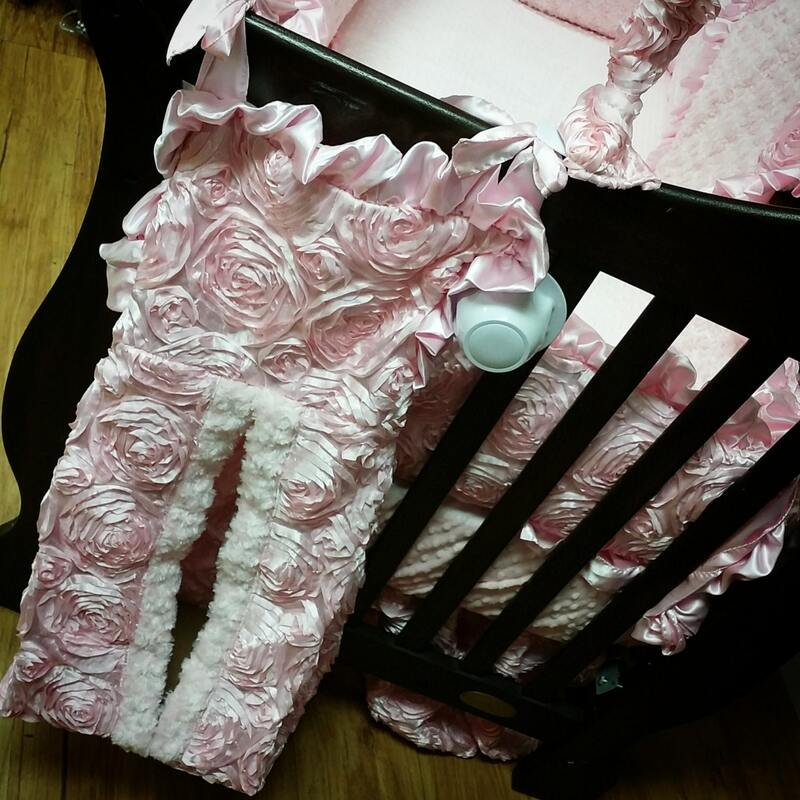 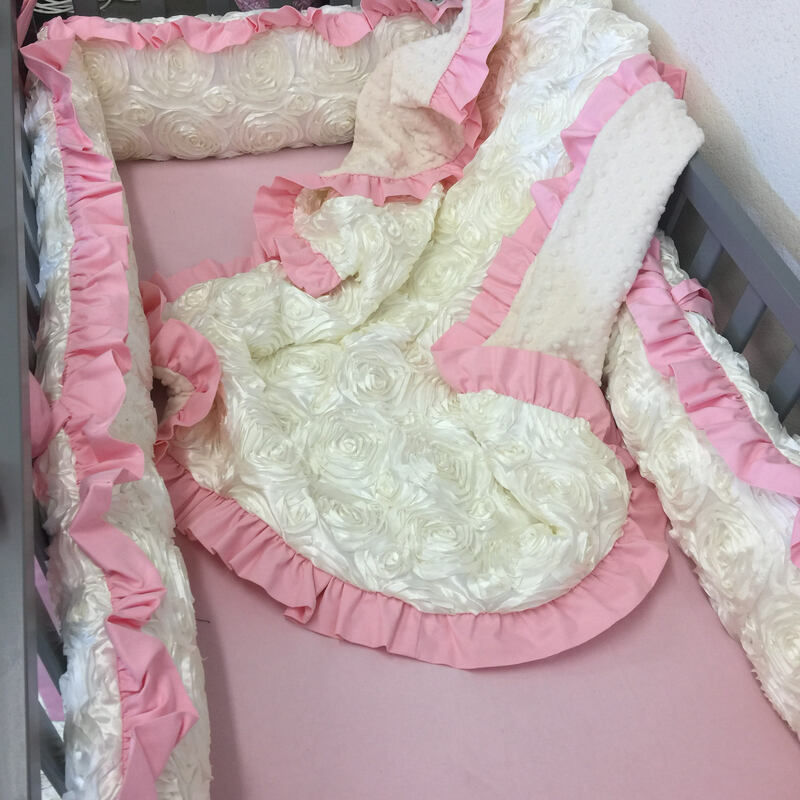 Ivory, Pink, Satin, Rosette, Crib Set. 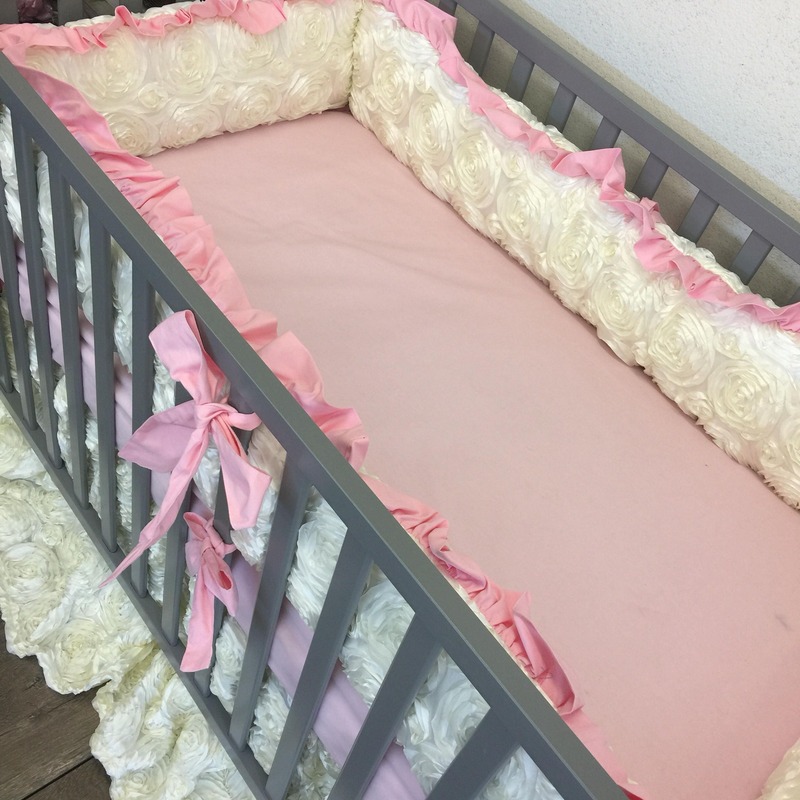 If no bumper is desired, you will receive a shipping fee refund after purchase of $19. 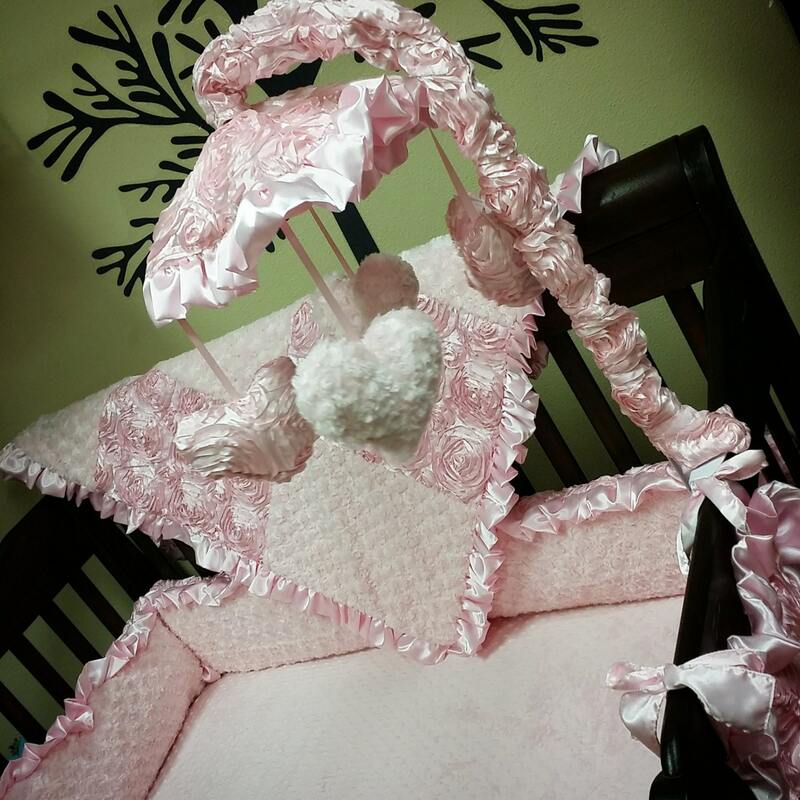 The large accent bows in pictures 3 & 4 are sold separately.